​St. Petersburg - a melting pot of faiths! › ​St. Petersburg - a melting pot of faiths! Russia is an ethnically and religiously diverse country - probably one of the most (if not the most) diverse in the world! People of various different religions live harmoniously side by side. 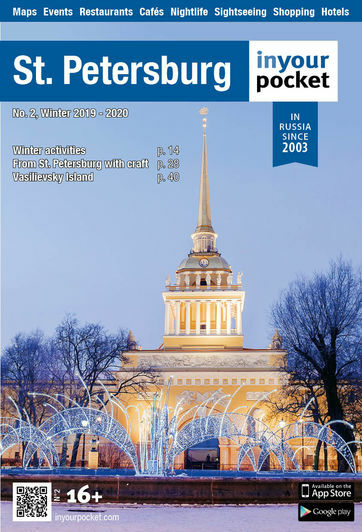 It is most evident in the larger cities, which are home to migrants and immigrants from other Russian cities, former Soviet republics and farther afield. From its very founding, Russia’s Northern Capital has been a prime example of different faiths and denominations coexisting peacefully. The holiday season is upon so it’s the perfect opportunity to find out how St. Petersburg’s residents celebrate their religious holidays! Orthodox Christianity is Russia's largest religion with 75% of the population belonging to the Orthodox Christian denomination. So, needless to say, there are plenty of ways how and places where St. Petersburg’s Orthodox believers can practice their faith during the holiday season. 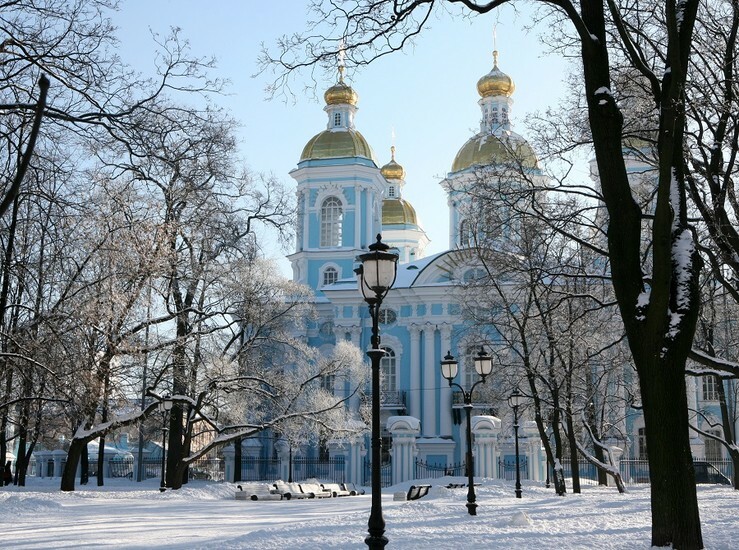 Unlike Catholics and Lutherans, Orthodox Christians celebrate Christmas on January 7th because the Russian Orthodox church uses the old Julian calendar for religious celebration days. During the Soviet times, Christmas was banned due to the government’s unfavorable view of religion so believers had to celebrate in secrecy. Today, it's once again celebrated in grand fashion, with the faithful participating in an all-night Mass in incense-filled Cathedrals amidst the company of the painted icons of Saints. On the Eve of Christmas, it is traditional for family members to gather to share a special meal. The various foods and customs surrounding this meal differed in Holy Russia from village to village and from family to family, but certain aspects remained the same. An old Russian tradition, whose roots are in the Orthodox faith, is the Christmas Eve fast and meal. The fast, typically, lasts until after the evening worship service or until the first star appears. The dinner that follows is very much a celebration, although, meat is not permitted. Kutya, a type of porridge, is the primary dish. It is very symbolic with its ingredients being various grains for hope and honey and poppy seeds for happiness and peace. Once the first star has appeared in the sky, the festivities begin. Although all of the food served is strictly Lenten, it is served in an unusually festive and anticipatory manner and style. Russians call this meal: "The Holy Supper." The family gathers around the table to honor the Christ Child’s coming. A white tablecloth, symbolic of Christ's swaddling clothes, covers the table. Hay is brought forth as a reminder of the poverty of the cave where Jesus was born. A tall white candle is placed in the center of the table, symbolic of Christ "the Light of the World." A large round loaf of Lenten bread, "pagach," symbolic of Christ the Bread of Life, is placed next to the Candle. The meal begins with the Lord's Prayer, led by the father of the family. After dinner, no dishes are washed and the family goes to Church, coming home between 2 and 3 am. On the Feast of the Nativity, neighbors and family members visit each other, going from house to house, eating, drinking and singing Christmas carols all the day long. 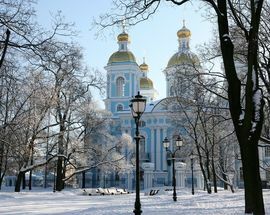 Naturally, St. Petersburg has a very wide selection of cathedrals, churches and chapels that are of special significance for the Orthodox faithful. Founded by Peter the Great in 1710, the Aleksander Nevsky Monastery is the most important in St. Petersburg. The St. Trinity cathedral is worth a visit and you can also buy fresh holy bread in the monastery's bakery in the afternoon (on your left as you approach the Trinity cathedral from the entrance). The Kazan Cathedral (modelled on St. Peter's in Rome) is one of the city's most majestic. 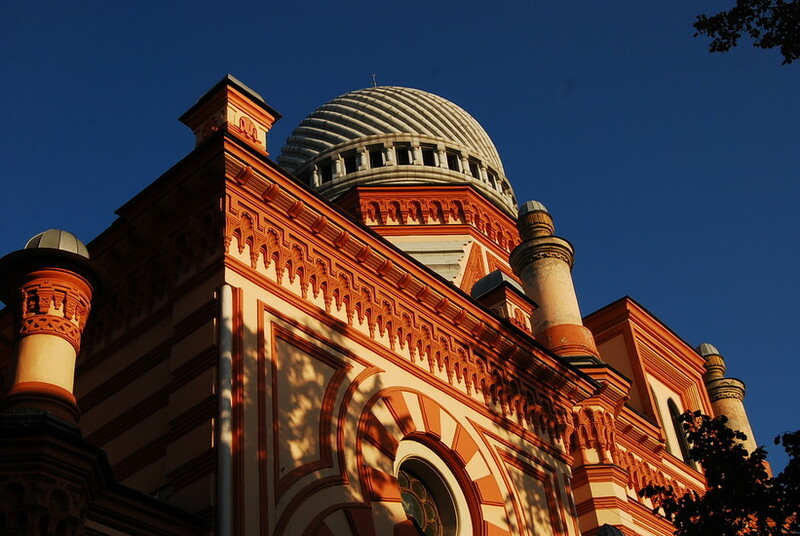 It was built from 1801 to 1811 to house the miracle-working Icon Our Lady of Kazan. The dome is 80-metres high and the colonnade facing Nevsky has 96 columns. Be warned, it's a quiet place and they don't like you to talk a lot in here, it's place of prayer and contemplation. Designed by the same architect who constructed the Chesma Church, the Armenian Church was financed by the wealthy Armenian businessman Loakhim Lazarev. He raised the money by selling one Persian diamond, which was purchased by the lover of Catherine the Great, Grigori Orlov, who presented it to her. The building was closed in 1930, but after the collapse of communism it was returned to the Armenian community. Today it’s open to public. These are just few of the many places of worship for Orthodox believers. In the time leading up to Christmas Day (December 25), the Catholic Church celebrates advent. Advent is a necessary part of the Christmas season because it is the time when Catholics repent for their sins and perform penance. They want to be as pure as they can be when Christmas comes, in order to receive the gift of God's presence at the Christmas mass of Holy Eucharist. During Advent, there are four candles that are lit each week before Christmas. On Christmas Day, families attend church and receive the Holy Eucharist. They celebrate the birth of Christ and the church is typically decorated with a nativity scene and other lavish decorations, in stark contrast to the decoration-less advent season. There are also additional feasts that take place during the Christmas season, such as the Feast of the Holy Family, the Epiphany (also known as the Three Kings Day) and the Baptism of Our Lord. There are several places in St. Petersburg that cater to its Catholic residents’ religious needs during the holiday season. One of them is the Catholic Church of our Lady of Lourdes (7 Kovensky side street), which was built in 1909 for the French Catholic community. It was designed by architects Leonty Benoit and Marian Peretyatkovich. 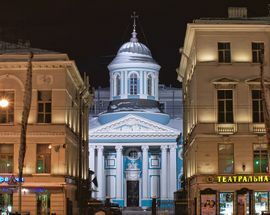 The Church of Saint Catherine of Alexandria (32-34 Nevsky Prospekt) is one of the oldest Catholic churches in Saint Petersburg and, indeed, Russia. There is also the Cathedral of the Assumption of the Blessed Virgin Mary, the Maltese Chapel and the Alexander Nevsky Gothic Chapel. Lutherans traditionally practice Christmas Eve Eucharistic traditions typical of Germany and Scandinavia. "Krippenspiele" (Nativity plays), special festive music for organ, vocal and brass choirs and candlelight services make Christmas Eve one of the highlights in the Lutheran Church calendar. A nativity scene may be erected indoors or outdoors, and is composed of figurines depicting the infant Jesus resting in a manger, Mary and Joseph. St. Petersburg’s Lutherans usually head to the Lutheran Church of Saint Peter and Saint Paul, the Evangelical Lutheran Church of Saint Mary, St. Michael’s Lutheran Church, St. Anne’s Lutheran Church or the Evangelical Lutheran Church of Saint Katarina. The eight-day Jewish celebration known as Hanukkah (or Chanukah) commemorates the rededication during the second century B.C. of the Second Temple in Jerusalem, where according to legend, Jews had risen up against their Greek-Syrian oppressors in the Maccabean Revolt. Hanukkah, which means “dedication” in Hebrew, begins on the 25th of Kislev on the Hebrew calendar and usually falls in November or December. In 2016, the start of Hanukkah falls on December 24th. 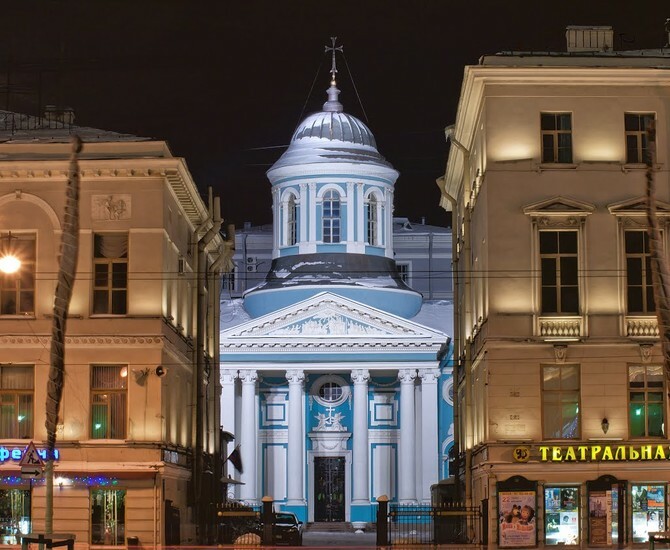 St. Petersburg’s Jews frequent the Grand Choral Synagogue, the the second largest in Europe! It's about 3,200 square metres in area, and its domed tower 47m high. 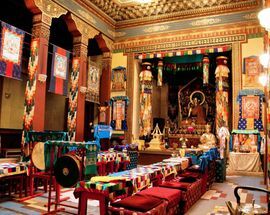 The majestic Grand Hall can accommodate 1,200 worshippers. The synagogue's complex also consists of the Small Synagogue (Mikvah), Le'Chaim, a kosher restaurant, and a gift shop called Kosher, where you can buy rabbi matryoshkas! ESOD (the Jewish Community Centre) was opened in 2005 and houses 6 Jewish organizations: the Hesed Avraam Charity Center, the Adain Lo Family Center, the Hillel Student Center, the Granatik Children center, the ORT Educational Center and the Library & Eitan Jewish Education Center. 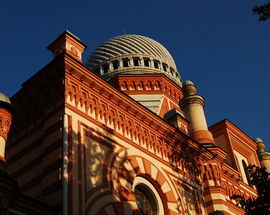 ESOD is one of the main centers of the Jewish community’s life in St.Petersburg today. On December 12th, followers of Islam will be celebrating Mawlid an-Nabi, a special holiday marking the birthday of the Prophet Muhammad, who entered the world in 570. 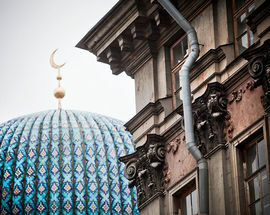 St. Petersburg’s Muslims normally gather at the mosque near the Peter and Paul Fortress. 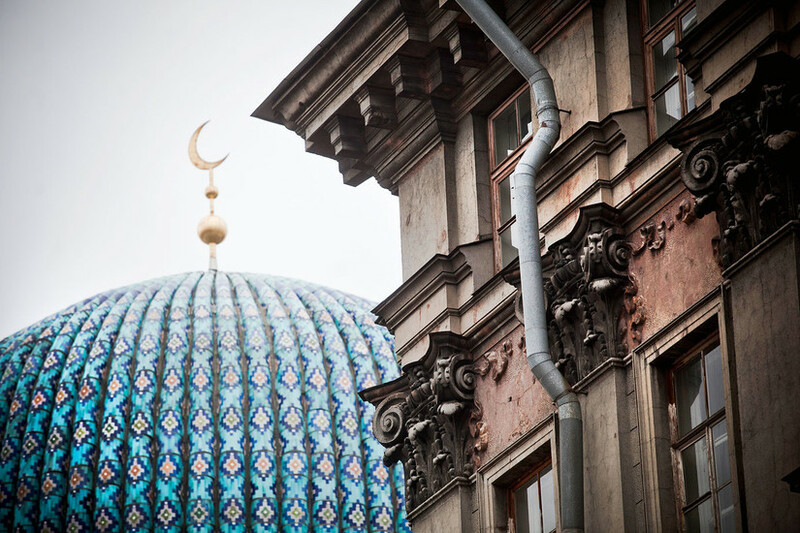 It is Northern-Europe's biggest mosque and a place of worship for up to 5,000 Muslims. Chinese New Year is a highlight of The Spring Festival which lasts 15 days and begins on January 28th, 2017. A Festival for Family – the Chinese get together and enjoy family time. For many Buddhist, Confucian and Taoist practitioners ringing in the New Year, their religious traditions play an integral role in celebrating the holiday’s happiness. The Chinese New Year celebration often invokes Taoist deities like the Jade Emperor, and Tianguan. The Chinese New Year is about wishing wealth, happiness, and success to those around you. The focus on genuine happiness is central to Buddhism. Buddhist teachings demonstrate that the best way to enjoy life is through making others happy, rather than focusing on personal desires. Chinese New Year is a beautiful holiday, with food, games, and costumes. People dance, laugh and make merry together. 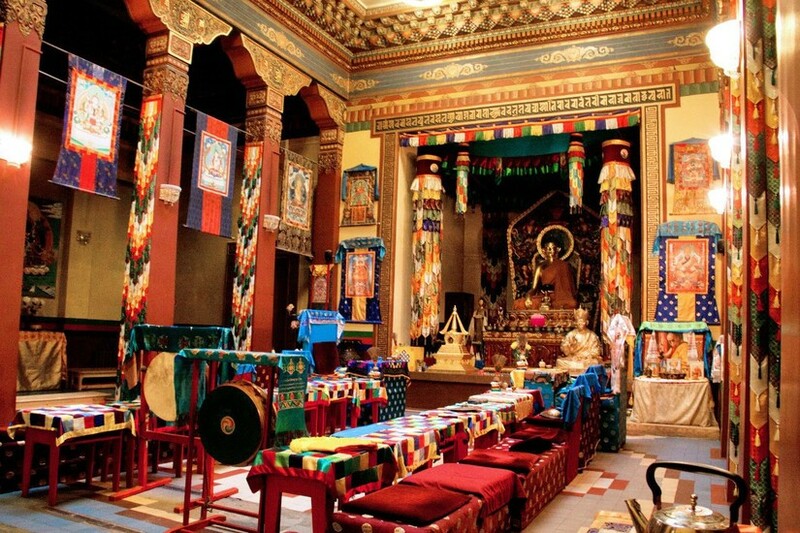 Many wish each other “Jinyumangtang,” or “may wealth fill your hall,” among other sentiments. Historically, Buddhism was incorporated into Russian lands in the early 17th century. Buddhism is considered one of Russia's traditional religions, legally a part of Russian historical heritage. Besides the historical monastic traditions of Buryatia, Kalmykia and Tuva Buddhism is now widespread all over Russia. To practice their faith, St. Petersburg’s Buddhists normally gather at the Datsan Gunzechoinei, a large Buddhist temple and the northernmost Buddhist temple in Russia. Although St. Petersburg doesn’t have a very large Hindu population, followers of Hinduism congregate in the bhakti yoga ashram in the village of Lakhta, about a 20 minute drive from Finlyandskaya Railway Station.